Groupon’s mission is to be the daily habit in local commerce. Groupon is a local e-commerce marketplace that connects consumers with local merchants by offering them deals on activities, services, travel and goods. I manage a team of awesome product designers who work on Groupon's consumer products focusing on areas like personalization, discovery and engagement that help Groupon’s customers make it a habit. I also run Groupon's mobile design systems that builds a library of patterns and components in partnership with mobile engineering. One of the neat things I learnt (and still learning) at Groupon is to help designers better appreciate and participate effectively in a culture of experimentation. COMPANY - Groupon’s mission is to be the daily habit in local commerce. It provides an online marketplace that connects consumers with local merchants who sell deals on activities, services, travel and goods. 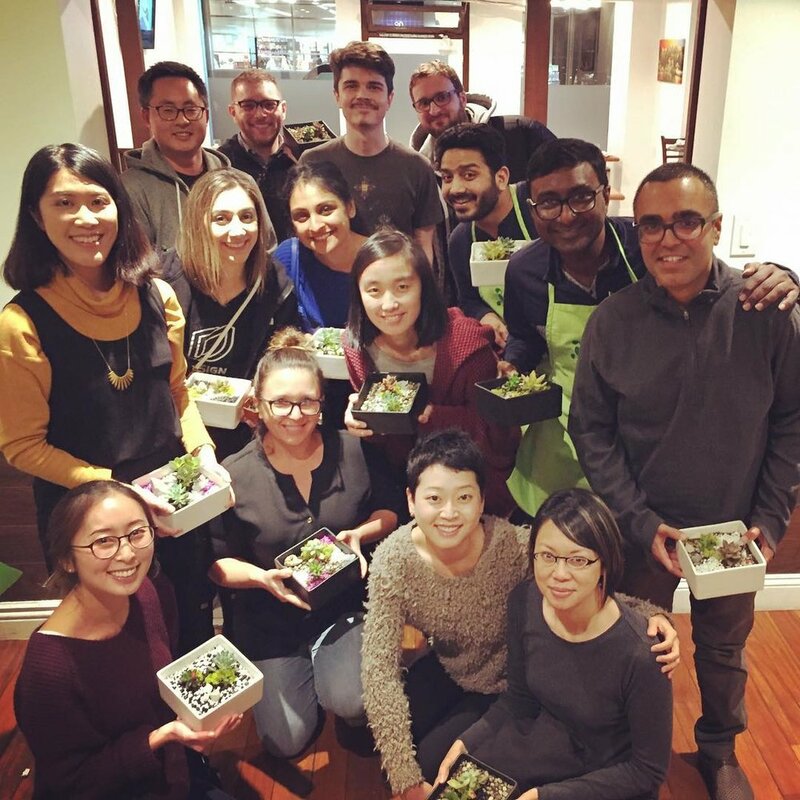 EXPERIENCE - I manage a team of awesome product designers who work on Groupon's consumer products focusing on areas like personalization, discovery and engagement that help Groupon’s customers make it a habit. I also run Groupon's mobile design systems that builds a library of patterns and components in partnership with mobile engineering. LEARNINGS - One of the neat things I learnt (and still learning) at Groupon is to help designers better appreciate data and participate more effectively in a culture of experimentation. As we started to plan UGC (User Generated Content) product roadmap for 2018, we realized we all had slightly different takes on where we should be focusing our efforts on. PMs, engineers and designers found themselves in different meetings talking about different hypotheses and ideas. The process felt a bit disjointed. I helped plan a product offsite that helped the product, design and engineering teams to take a step back as a team - and reset. The goal was to collaboratively evaluate the current state of the product, identify insights and opportunities, document knowledge gaps and rally around a few concrete themes. At Groupon, User Generated Content (Customer Ratings & Reviews) was largely perceived as a lever for conversion. 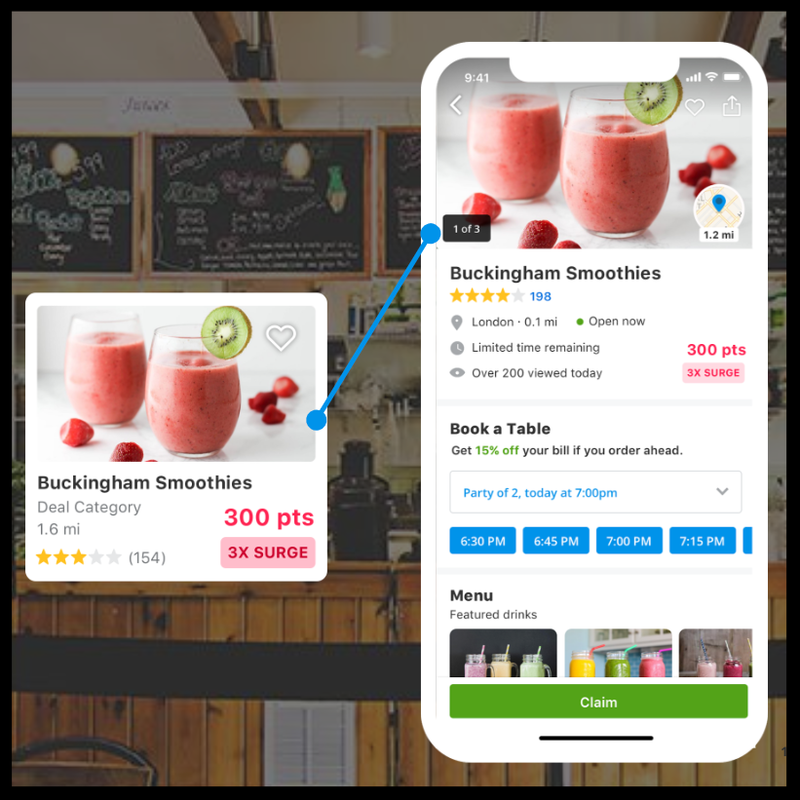 While conversion is important, the primary goal of user generated content is to create a neutral, trustworthy marketplace that rewards quality merchants. I helped craft the story of UGC with a new mission, vision and product strategy. I led the product/design team to come up with a vision for user generated content for all players in the ecosystem: contributors, consumers, merchants and sale reps.
Project Clarity is a cross-functional effort to reconsider some of the core design choices in our consumer facing design system, including color, type, illustrations, content and motion. The goal was to reduces clutter and improve wayfinding for the end user. I initially launched this as a side "playground" project with my design team. Later, I worked with my stakeholders in engineering and product to come up with a plan to incrementally transition to the new design system. 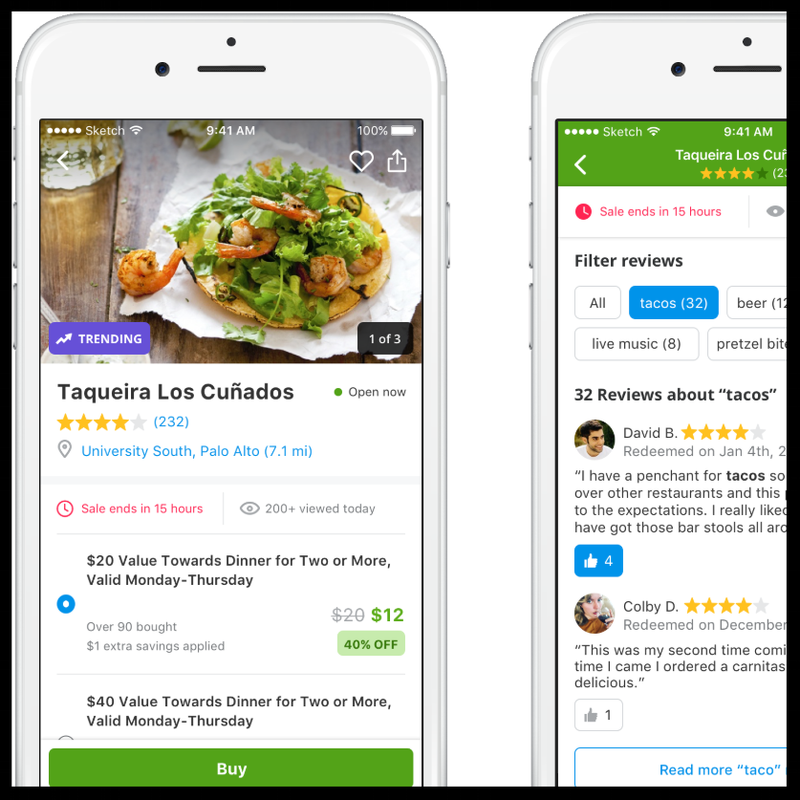 Groupon Surge is a brand new service designed for young savvy customers, which uses game mechanics to help merchants and customers build a frequency based relationship instead of a one-time discount based relationship. With Groupon Surge, merchants can get more customers when they want (like off-peak times) by on-demand surge in reward points. Customers can earn extra points when buying at peak time. This idea was the winner at Groupon 2020 Product "Shark Tank" Competition, and I am leading this as a "big bets" initiative for Mobile 2020.